Polvo comes as a super absorbent powder for any spillages (from insecticides to paint to ‘body fluids’) - ideal for the van, stores or even as a sell-on. 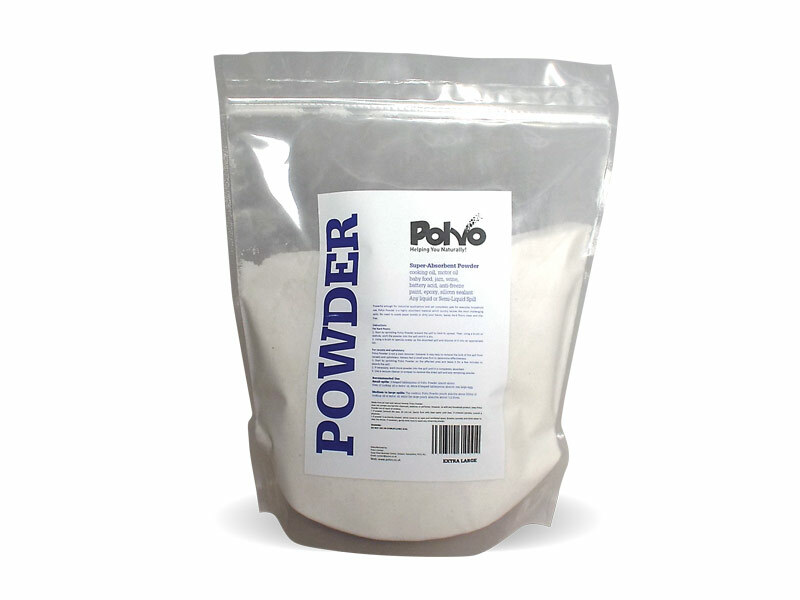 Polvo Powder is an inert mineral and due to it’s extremely fine granular structure it completely absorbs the spill within itself. The spill is prevented from spreading and is absorbed to a point that it can be cleaned up leaving a slip free surface which is residue free.